When Sarah Manning’s (Elaine Cassidy, The Paradise) husband, Lee, is killed while on business in Montreal, her life back in Dublin starts to spin out of control. Sarah soon realizes she knew little about her husband’s past or his job at a powerful international pharmaceutical company. 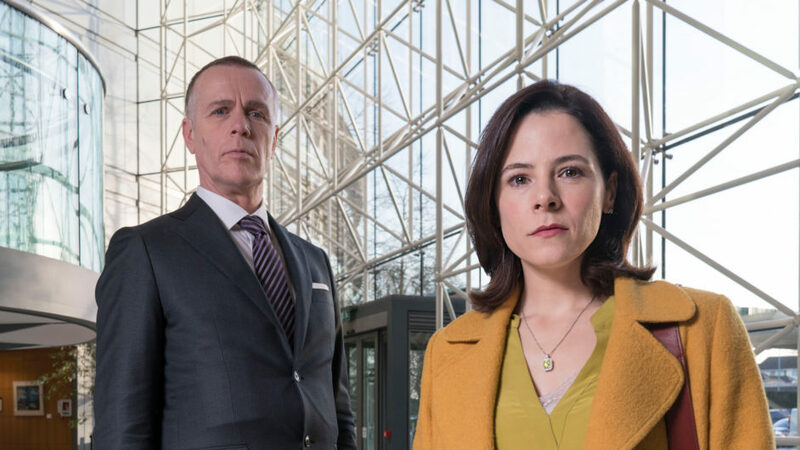 Assigned to the case, Detective Emer Byrne (Angeline Ball, Shameless [UK]) doggedly investigates the conflicting evidence, even in defiance of her superior’s order. As more lies surface, Sarah begins to suspect that Lee’s murder could be connected to the death of her first husband. Did both men know a terrible secret that got them killed? Also starring Morten Suurballe (The Killing [Denmark]) and Lisa Dwyer Hogg (The Fall ), this gripping international thriller follows Sarah’s high-stakes fight for the truth amidst a conspiracy of corporate, police, and political interests.